If you've ever been to college, or conducted a job search, or browsed the Internet (don't lie; I can hear you breathing on the screen), then you've probably come across the Myers-Briggs Type Indicator, a psychometric questionnaire (so fancy!) that attempts to index personality. 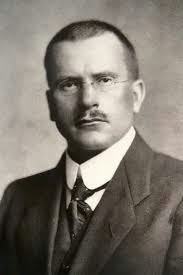 The test was developed from Swiss psychiatrist Carl Jung's theories on personality type. Think of it kind of like the sociological, i.e., more sciency, version of the Sorting Hat from Hogwarts, except instead of learning your magic might be wasted in humdrum Hufflepuff house, you learn your life might be wasted generating TPS reports. The Myers-Briggs has been been criticized in recent years as dressed-up astrology. Also, for being inconsistent; some people have found that their "type" changes when they retake the test, often within weeks. NOT very sciency. But, I say: Don't ruin my fun! I love this stuff. I recently took one I found through Meredith from The Mom of the Year, and I forced my friends to take it too. It was striking how spot-on some of the conclusions were, but others only applied to me sometimes. Which didn't stop me from taking the test as if I were Zoe. . . . According to the MBTI, 16 personalities are enough to describe the multitudes on the planet. I know. Yet we still can't get along. Look, a handy chart. For the record I am an INFJ (introverted, intuitive, feeling, and judging). When I took the test as Zoe, her result was one letter different from mine---INFP (introverted, intuitive, feeling, and perceiving). Hmmm. Could this be a case of projecting? Wanting my daughter to be like me? Was I a narcissist primed to only see similarities? However, one word used to describe Zoe's type that was not used to describe mine was "childlike." On the nose! Next I googled whether there were any tests specifically for children. In any case, the questions on this test seem a bit problematic. You're supposed to choose, between two extremes, your child's most likely reaction or behavior. Key words: "most likely." Which was probably clear since I put them in bold. For emphasis. Anyway, to me, Zoe isn't all that easy to predict. For example, the first question on the test was, Would you be more likely to spend time in the ER with your Loved One getting injuries patched up, or more time coaxing her to try new things? Well, it all depends on how badly she wants to do the new thing, and/or how much time she has to think about it. The first time she wanted to slide down the big-kid pole at the park she just ran right up and did it. The next time, she thought about it. So now she's afraid, and she might never do it again without me standing beneath her, ready to take a pink sneaker to the face. 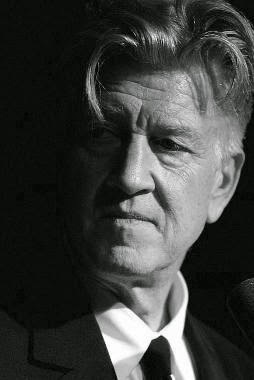 David Lynch is an INFP. I love him though he baffles me. If I really examined the MBTI letters and the dichotomies they measure, there would be no consistency for Zoe. Introverted (I): Zoe likes to play alone and she's often shy. I recently attended a performance at her day care where Zoe placed herself in the back, at the end of a row, and she mouthed the words to the song they were supposed to sing. When the nightmare was over, she ran to me then promptly hid her face when I praised her "singing." Extroverted (E): Zoe may play alone, but she keeps up constant chatter. Loud chatter. Recently, she has also started saying, "Hi, I'm Zoe" to strangers and then proceeds to tell them where we are going or that she has to go to the bathroom. Sensing (S): On the other hand, sometimes she's very literal. "Boys like boy things and girls like girl things." But why can't girls like boy things? I asked. "Because only boys like boy things." Mommy's so dense. Feeling (F): People who are strong in this trait make decisions based on a desire for harmony. I've told her I don't want her watching Teenage Mutant Ninja Turtles. The other morning she told me she watched it with Daddy, but that it was okay because I didn't know. See? Considerate. Thinking (T): People who stress this trait make decisions based on justice and reason. This side of her usually comes out when another child breaks a rule. Then, no one wants to see justice prevail as much as Zoe. Plus, if that other kid's in timeout, she can play with their toys. After all, they're not using them. Fairsies. Judging (J): Zoe likes rules and routine, and is often inflexible . . . in regards to how others treat her. Every day she wants to know where she's going, who's taking her to school, who's picking her up, who's putting her to bed. She is quick to correct us when we in any way deviate from a norm. "That's NOT the nighttime toothpaste." "You're using Daddy's towel." "Blue cup, red top! It's always the same. Have you lost your freakin' mind handing me an orange cup?! Orange?! 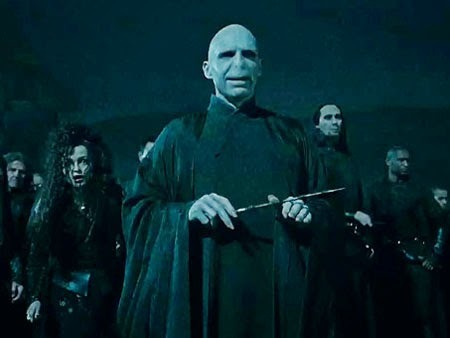 What are you, a cruel unfeeling INTJ, like Voldemort?" Perceiving (P): As for her own behavior . . . lawless. Don't pin her down with rules, man. Go with the flow. Live in the now. There's always more time to not listen to Mommy when she says it's time for bath or bed at night, or time to get ready for school in the morning. Chill out, Mommy. Day care can wait. Conclusion: Zoe is a SPINFJET. SPIN? . . . F. . . . JET. It could almost be a sentence if you strangle the letters hard enough, as hard as Zoe squeezes my throat to manufacture love. Zoe may be short in stature, but she's not short on personality. delivered to your inbox every Thursday, click here. Yes, my strongest results were for Introverted and Judging (my husband will agree w/ the latter). The others had a slighter margin. I loved your post! Sure. I know! I guess it makes sense since writing requires solitary time. The idea of speaking.... shudder. 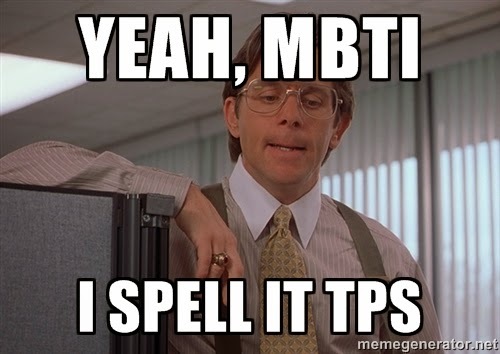 Love that you dove into the MBTI! I think it's so fascinating and thanks for the shout-out. Isn't it crazy that so many bloggers are "I"s?? Haha. I forget. I did take a version of this years ago and of course the Internet is always there tempting us. We're pretty close in terms of arrangement. Both our configurations are rare, I think. Or, wait, is that "I feel"? My husband's also an I, which I guess is both good and bad. Please call me Voldemort (or "She who shall not be named") because I'm so INTJ. Zoe and my daughter would get along well. They may be inconsistent with regards to MBTI results but they're consistently awesome. Ha, thanks. They sure are, great and powerful one. Isn't that Harry Potter kid annoying? You know what....I don't know that I'd want to know what I am! Part of me wants to run and take the test...but then would I try to be something else? I'm over analyzing...wonder what that mean?! Haha. Now I want to know what you get. Do it, do it. Peer pressure! I was an ESTJ in college, but who knows what I am now. I'm not sure I could take it as one of my kids...according to them I don't know anything. I think they would be PITA. Ha! I know I took one of these years ago and I think I was the same thing as I am now. Definitely the introverted part.